Harbour ISP Outage Map - (Live Reports) Is Harbour ISP down now? 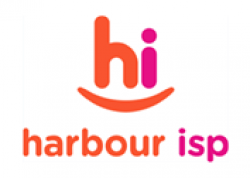 Harbour ISP is a provider of Fibre broadband, Fixed Wireless Broadband, Satellite Internet, VOIP and mobile services. The company was the first provider of NBN satellite services. The company was set up in 2005 by Charles and Melissa Tym. It operates its own switching technology and offers services of NBN, OptiComm, LBNCo, OPENetworks, Optus, AAPT, Vocus and iVox. Track the Harbour ISP network performance with our outage map and add to the map with any outages you are going through. Do you have a problem with Harbour ISP? Do you've a problem with Harbour ISP? having issues with Harbour ISP? Got issues or have something to share about Harbour ISP? No internet again at Toorak Park apartments.